It’s been a long time coming, but based on the changelog, it was well worth the wait: a wealth of new skins, full screen mode, new cheats, an option to turn off that annoying ‘coin sound’… and much more. For a free fan game that lets you play the original Super Mario Bros. as Link, Samus and even Mega Man, among other, that’s one helluva content patch. For those unfamiliar with Super Mario Bros. Crossover, it’s essentially a re-creation of the original Super Mario Bros. levels. Only, you’re not limited to playing as Mario (or, you know, Luigi), since it features a ridiculous cast of other playable characters, including Link, Mega Man, Samus, Simon Belmont, Cut Man, Ryu, Ice Man, Princess Toadstool, Dark Link… well, the list goes on for a while, but I think you get the point. And best of all, most of them play like they did in their original game, special abilities and all! Samus can drop bombs, Ryu is able to wall-jump, Link can stun enemies with his boomerang, while Simon Belmont does his best Indiana Jones impersonation with the iconic whip – imagine playing Super Mario Bros. like that? It’s almost cheating, except, it isn’t. Not in this game, anyway. What’s that, you actually WANT to cheat? Sheesh! Well, the game does have built-in cheats, although most have to be unlocked by meeting a certain criteria. 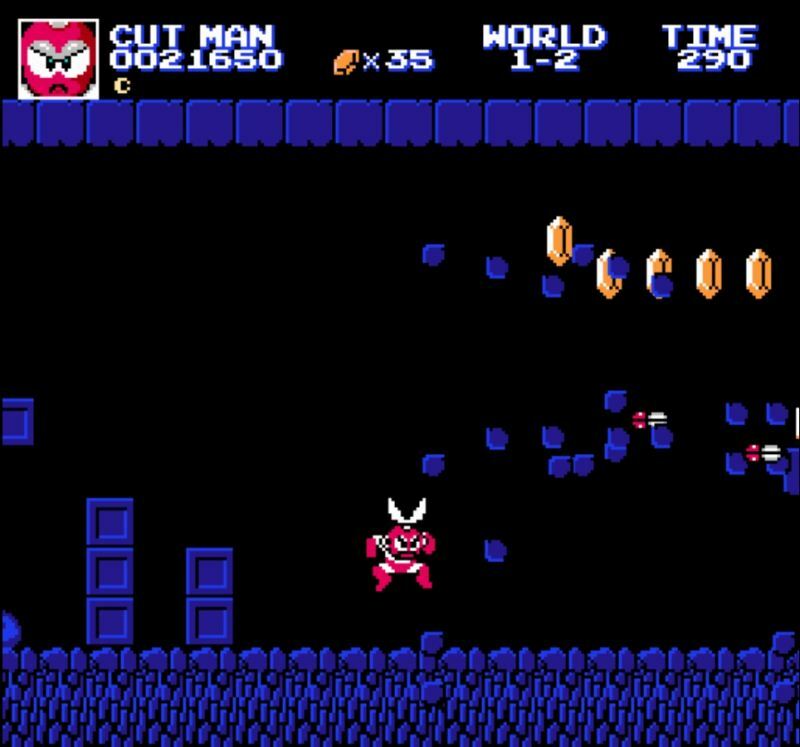 These affect the game in some truly strange ways, from normal stuff like preventing the screen from scrolling left (old-school style), to actual cheats; how about infinite time, lives or, heck, might as well go nuts and turn on invincibility, right? You can also alter the difficulty by tweaking the level design to a certain degree, and if you’re looking for a challenge, set it so that one hit is always lethal, and play as Simon with Classic Simon cheat enabled. I dare you. Consider yourself dared. Do it. More levels and skins will certainly be added to the game in the future, but I would probably consider this the last major release. Oh man. I could easily go on about this game for hours, detailing all its craziness, but that’ll have to be another time. All you really need to know is that the recent 3.0 update brought along a slew of changes and new content. With the addition of Super Mario Bros. Special stages, you’re looking at a massive 192 levels to plow through as your favorite Nintendo character, each with several different skins (characters and levels, as I’m sure you’ve realized at this point). On top of that, well, I already mentioned how much you can tweak the experience, but I can’t emphasize enough how great it is to mute (or simply lower) the coin sound. Bling! Bling! Bling? BLING! 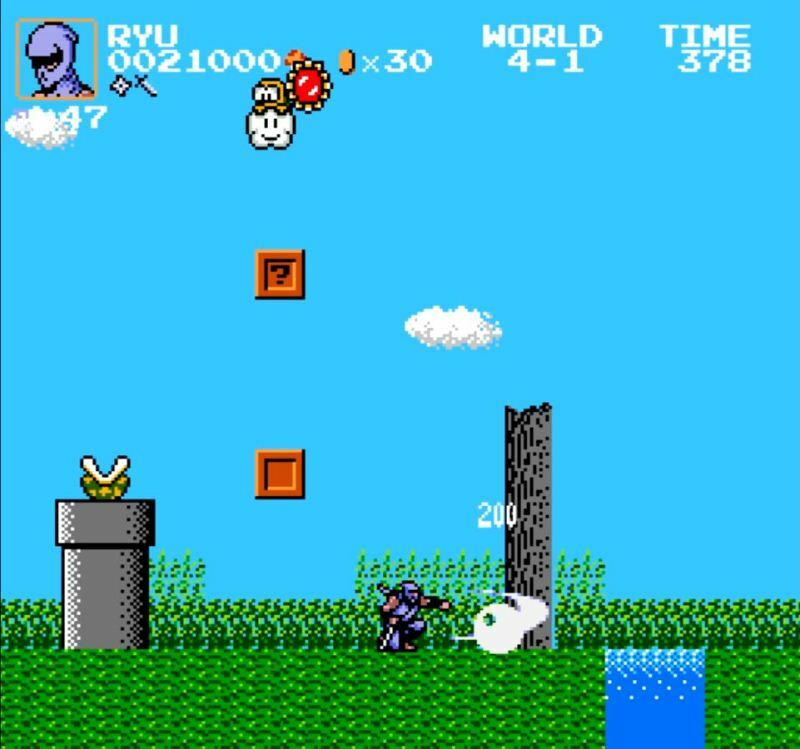 If you’ve ever wondered what it was like to play the original Super Mario Bros. with The legend of Zelda‘s tileset, Castlevania enemies and the music from Ninja Gaiden, then stop reading right now and go do exactly that; trust me, you won’t regret it. Oh and feel free to blame me when it’s suddenly 3am and you’re still up, trying to beat the ‘special’ levels. Just make sure ya do it in the comments below, aye?